You heard us, ladies and gentlemen–well perhaps just gentlemen in this case–your long-awaited trimmer is finally here. A big step for barbers everywhere. This gorgeous outliner is now more powerful and easier than ever before to use. With over 100 minutes of use time after only an hour of charging, this new trimmer cannot be beat, and we have the Andis Cordless T-Outliner review just for you. For designs, outlining, and zero-gapping, this is the trimmer you need to have if you’re serious about cutting hair. At about $200, this trimmer isn’t cheap, but it is certainly worth the price. A huge step up from the original Andis T-Outliner, this new version allows you to swivel around and get in tight spots without having to drag around a clumsy cord–and it’s just as, if not even more, powerful than its predecessor. If you’ve gotten caught up in the hype over this new release, the moment is finally here. The Andis Cordless T-Outliner is everything we wanted it to be and more. Keep reading to find out how Andis has improved upon their former models and what features you can expect from this trimmer. Andis has a whole line of hair trimmers, but if you’re a man who takes impeccably good care of his physical appearance, you’re going to want to invest in the Cordless T-Outliner. We’ll explain why. The Andis GTX T-Outliner is great for versatility. With its deep teeth, it can cut through thicker hair, and you can rely on it to do pretty much anything. Neck clean ups, sideburn and beard trims, outlines and edge-ups….but that’s the problem. It does everything well, but it isn’t meant for anything specifically. It’s powerful, but it can’t zero gap, and it’s not meant specifically to do detail work.The Andis Promotor Combo has the same problem–it’s an economical option that’s designed as an all-in-one kit. 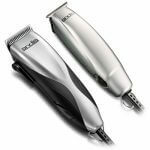 The Andis Speedmaster II and Styliner II are both good medium-priced options that are relatively lightweight and can give you a great smooth trims. However, they’re not meant for detailed work. For a proper styler, you need a very wide t-blade that can zero-in accurately giving you clean straight lines. Is the Andis Cordless T-Outliner a Replica of the Slimline Pro? Okay, so clearly the cordless version of the Andis T-Outliner far outshines most of the Andis products, but is it really that much different from the Pro Li Trimmer? 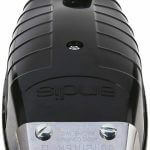 The Pro Li Trimmer is an elegant, cordless trimmer meant for professionals and enclosed in sleek, black alloy casing. However, the Andis Cordless T-Outliner is still a step up for a few reasons. Though the battery life is just about the same, the motor is far more powerful. At 7200 SPM, it beats out the Pro Li’s 6000 SPM by a long shot. Motor power does, in fact, matter quite a bit when it comes to hair trimmers because strong motors can cut through more hair more quickly. 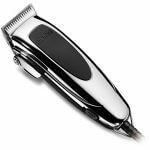 If your hair is thick or curly, you’re going to want a trimmer that can get the job done quickly and efficiently. You’re not going to want to go over the same area multiple times. Not only is that a waste of time, but eventually it will irritate the skin. 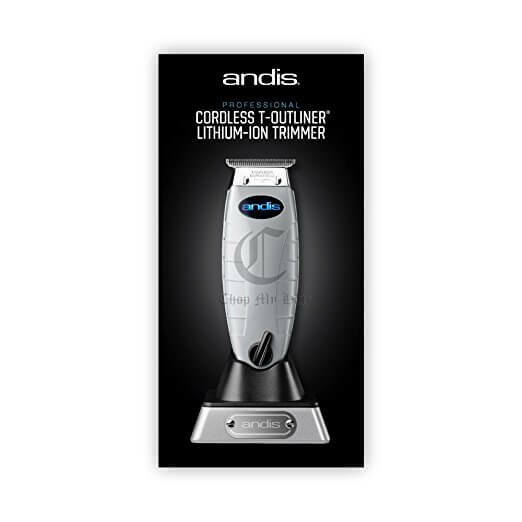 The Andis Cordless T-Outliner is the best trimmer from Andis so far because it’s designed to do one thing very well. This is not your one fits all kind of trimmer. It does outlining, detailing, and styling extremely well. It’s precise and accurate, and it’s worth every single penny. It’s got an extremely powerful motor, and the cord will never get in the way. Don’t take our word for it though. Check out some Andis Cordless T-Outliner reviews on Amazon! This Andis Cordless T-Outliner Review reveals that it is made with a gray plastic coating and looks similar to the standard Andis T-Outliner though its body is slightly more elongated. Andis did a great job of replicating the previous style to fit this newer model, and the design is similarly striking. However, on the cordless version, you’ll find that the Andis logo on the front lights up with blue LEDs when the trimmer is charging. The charging port has a flashy chrome base that is plenty sturdy to hold the trimmer. You shouldn’t have to worry about the trimmer falling over. Even if you knock into the razor with your elbow accidentally, the trimmer should stay securely in place.The cord for the base is in the back, and the power switch is on the bottom of the trimmer. 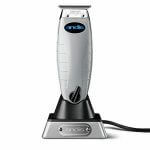 Best yet, this trimmer is just as powerful as the previous edition even though its cordless, but there is an option to attach a cord should you choose to do so. It comes with a high-speed rotary motor with blade speeds of 7,200SPM. It also features constant speed technology and blades that never drag or pull regardless of the texture of your hair. The close-cutting carbon-steel T-blade can be easily zero-gapped and is perfect for lining, designing, and dry shaving. The blade can be easily removed with a Phillip’s Head screwdriver, and you can even substitute a GTX blade or another Andis blade in place of the original. To screw the blade back into place, simply secure the blade with the black plastic piece inside and twist in the screw on the back. To summarise this Andis Cordless T-Outliner review: if you’re a barber, you need a hair trimmer that is as flexible as you are. You take care of each of your clients–you know how they like their sideburns, how closely they trim their beard, and how long or short they want their hair in the summer and winter. To say the very least, your clients trust you, and you give them your best every single day. 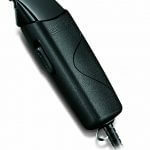 You need a trimmer that can help you get up close and personal. 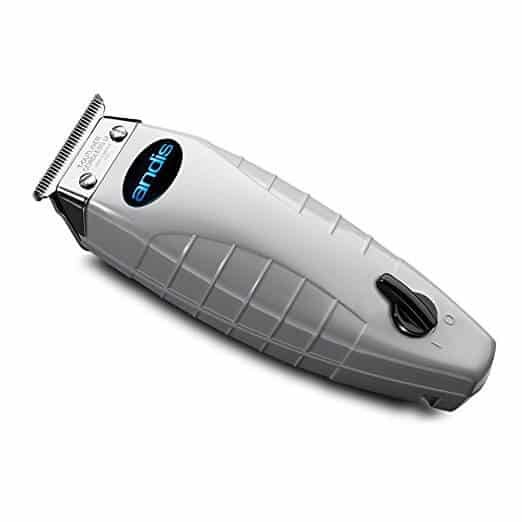 You need the precision that only the Andis Cordless T-Outliner can offer you. 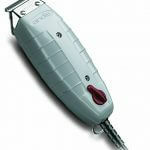 Any man, in fact, who cares about his appearance, needs a trimmer that is as powerful as he is. You don’t have time to mess around in the morning–you need your hair and beard to look perfect, and that’s why you’re ready to pay extra for it. If you are particular about how you style and outline your hair and beard line, then the Andis Cordless T-Outliner is the trimmer for you. If you’re ready for a trimmer with a wide blade that can outline accurately and won’t ever tie you down, then you need to check out the Andis Cordless T-Outliner review today and see how different it is from the others. This trimmer’s only just come out, but it’s already so popular, the price might even go up. You’ll want to catch it now before your friends catch on and all buy theirs too.